Yes! 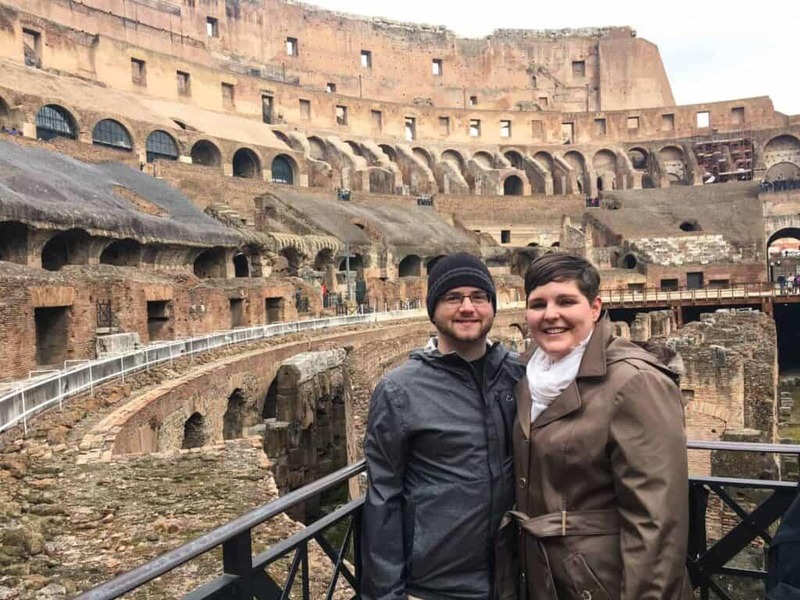 Sean and I went to Italy last month! If you follow me on Instagram or follow the blog’s page on Facebook, you have likely seen a few photos already. One of the annual scientific conferences that I attend was in Florence this year. Sean came with (of course), and we we decided to make a proper vacation of it by tacking on a few extra days before and after the meting so we could do some sightseeing. 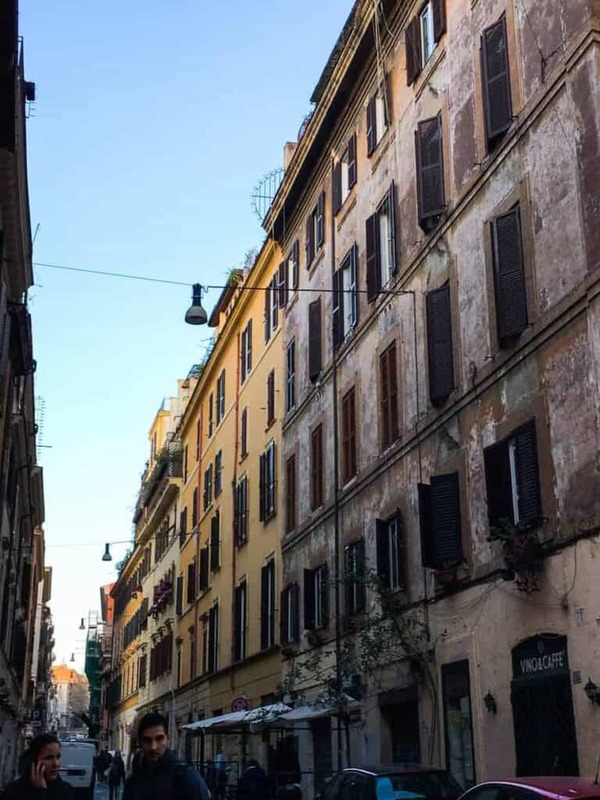 Our itinerary went like this: Rome –> Florence (+ a day trip to Cinque Terre) –> Rome. I’ll be sharing photos from Florence and Cinque Terre soon, but let’s start with Rome. 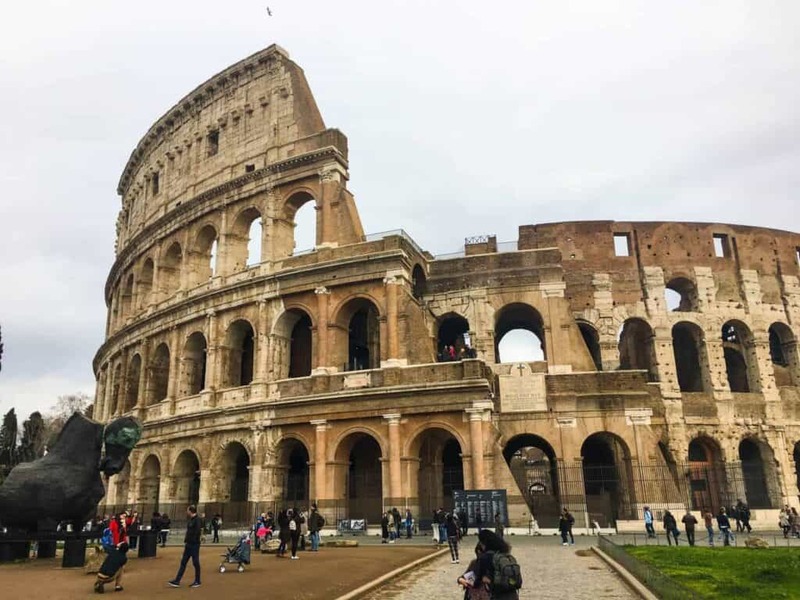 One of the first things that we did was go see the Colosseum. We’re all more or less familiar with the Colosseum, right? I think it’s probably the most easily recognizable of the ancient landmarks in Rome. When you get off of the Metro at the Colosseo stop, it’s right there. First thing you see when you walk up the steps and out of the metro station is the Colosseum. 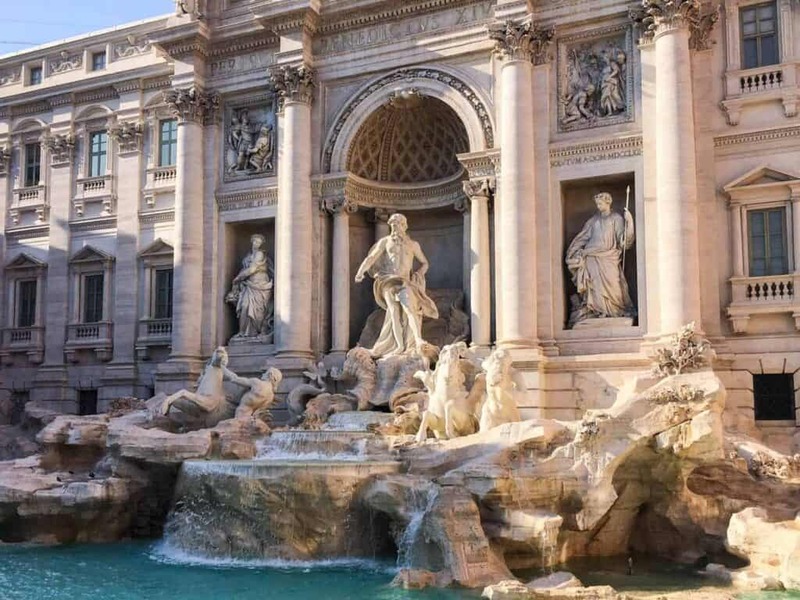 It’s just there, in the middle of modern day Rome. It’s incredibly impressive, both in size and also in terms of how old it is. It was built between 70 and 80 AD. You can see that the skies were pretty overcast and dreary looking; this was the worst of the weather that we experienced the entire time that we were there. We were really lucky. 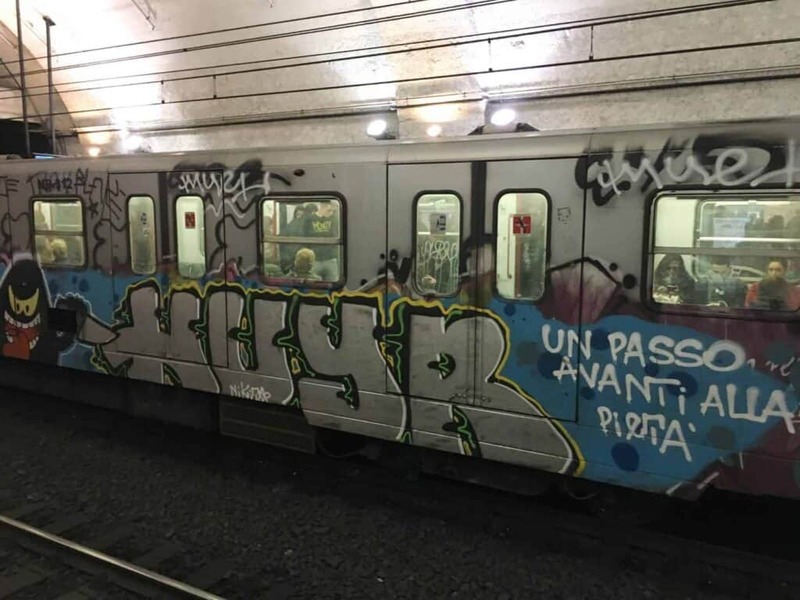 Speaking of the Roman Metro system, all of the train cars are tagged up like this. Really, a good bit of the city is covered in graffiti. I think that, in the U.S. at least, we tend to equate graffiti with a geographic area not being the nicest or safest. Broken windows theory, and all that. Not so in Rome. From what we saw, most buildings were tagged. And really, a lot of it was beautiful or at least interesting to look at. We briefly visited the Trevi Fountain, which was super crowded but also beautiful. We also visited quite a few old Catholic churches. They were, of course, very beautiful. 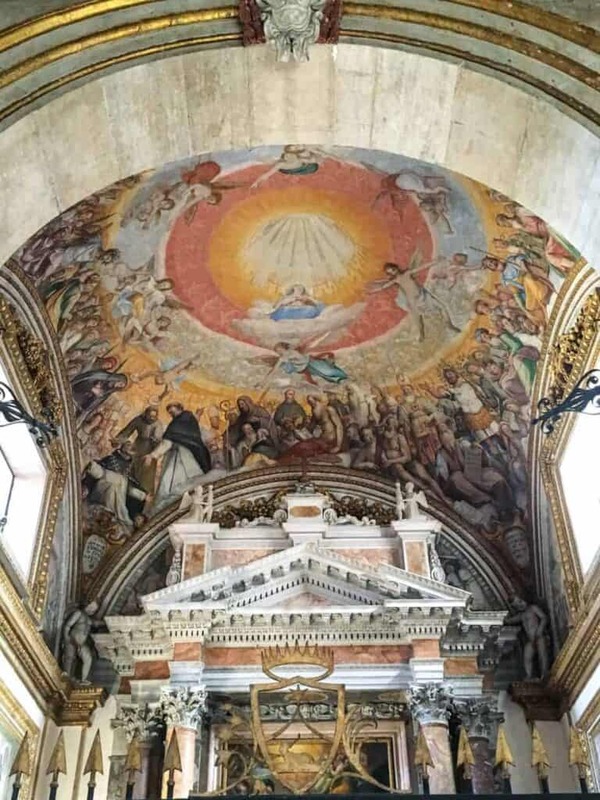 The photo below was taken in The Basilica of Santa Sabina, which was completed in the year 432. I lit a candle there. 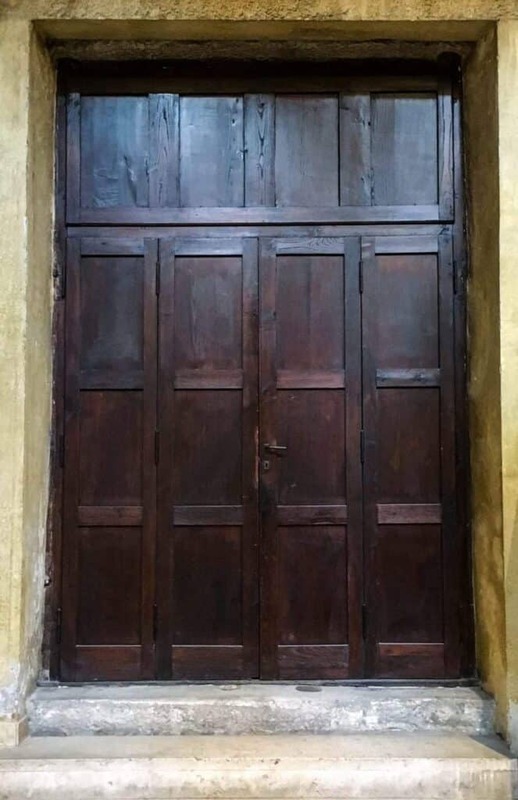 This wooden door was in the Church of San Saba (13th century). It was almost directly across the street from the Airbnb we stayed in during the 2nd portion of our stay in Rome. For me, (despite not being a very good Catholic) there’s something seriously comforting about the fact that all Catholic churches smell the same. Even the really old ones. And the ones that are 5,000 miles from home. 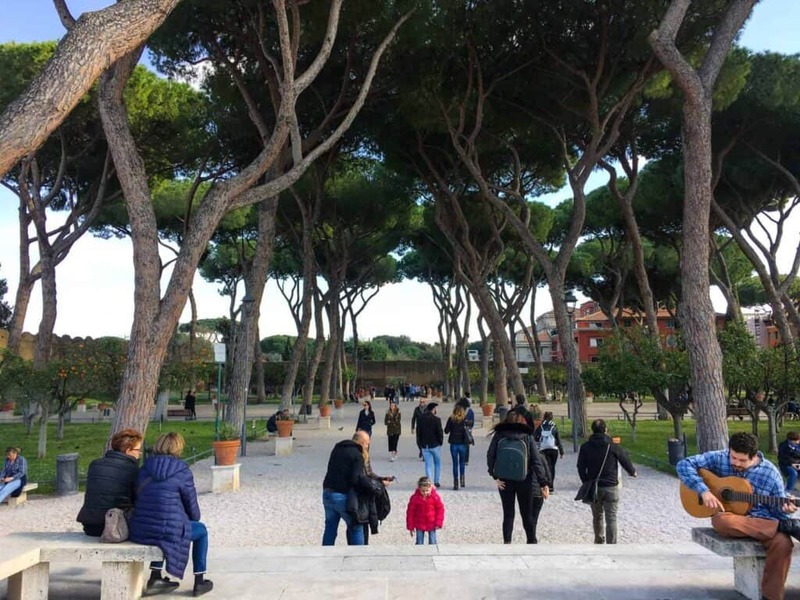 There’s an area in Rome called the Aventine Hill. It’s one of the seven hills on which ancient Rome was built. It has orange gardens (below), and is where the Basilica of Santa Sabina (the church with the painted ceiling, above) is located. There’s also a really nice view of some of the city, as well as the dome of St. Peter’s Basilica in the Vatican. Unfortunately, I only brought my iPhone with me, and wasn’t able to take very clear photos of the view. 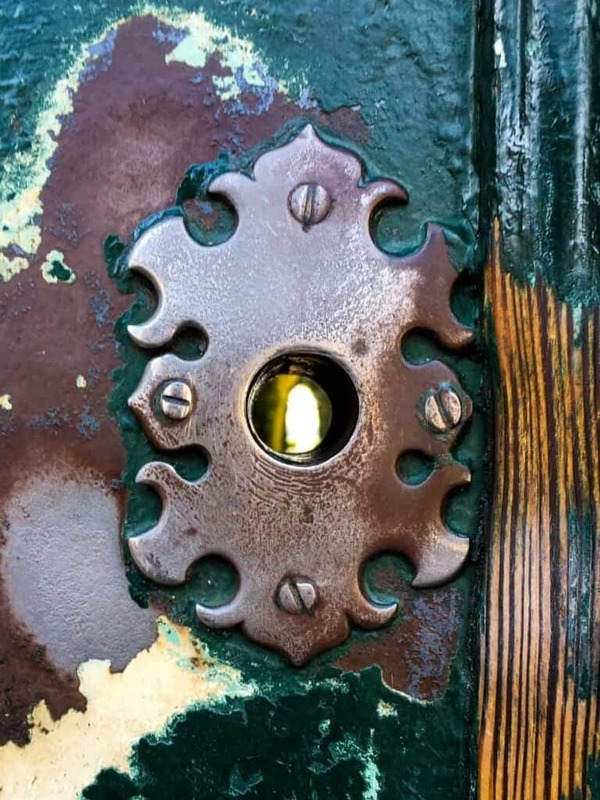 Also on Aventine Hill is The Aventine Keyhole. It’s literally a keyhole in a door. When you peer through it, you see a treelined path, and framed perfectly within the opening at the end is the dome of St. Peter’s Basilica. I couldn’t get my phone to focus on the dome, but you get the idea. We also took a rather abbreviated trip to Vatican City. We made it through a good bit of the Vatican museums, and saw the Sistine Chapel. However, I was battling bronchitis at the end of our trip, and was fading quickly. We saw the line to enter St. Peter’s Basilica, and I knew that I just couldn’t make it. We turned around and went back to our Airbnb. I tell myself that we’ll just have to go back some day to finish what we started. Our time in Rome was incredible. The city is large and bustling, the people friendly to American tourists, and the food and wine were delicious. I would love to go back some day to see things that we couldn’t squeeze in this time around. Stay tuned for more photos from our time in Florence and Cinque Terre!